to Ms. Praewa of Year 5 at St. Stephen's International School, Bangkok. Praewa recently competed in the 5th CSTD Thailand Dance Grand Pix 2018 at Aksara King Power Theatre, Bangkok. Praewa won first runner up in Modern Solo aged 11 & under. Congratulations to Ms. Praewa of Year 5 at St. Stephen's International School, Bangkok. Praewa recently competed in the 5th CSTD Thailand Dance Grand Pix 2018 at Aksara King Power Theatre, Bangkok. 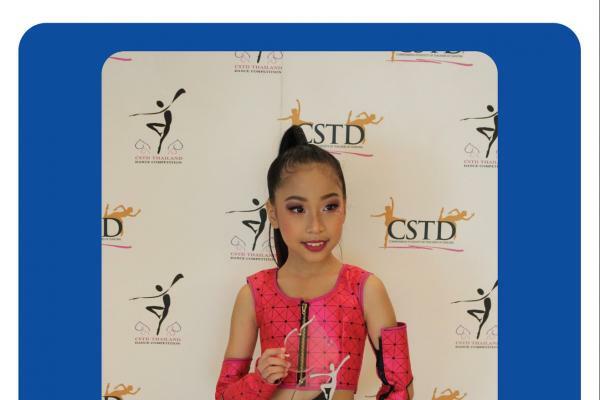 Praewa won first runner up in Modern Solo aged 11 & under.